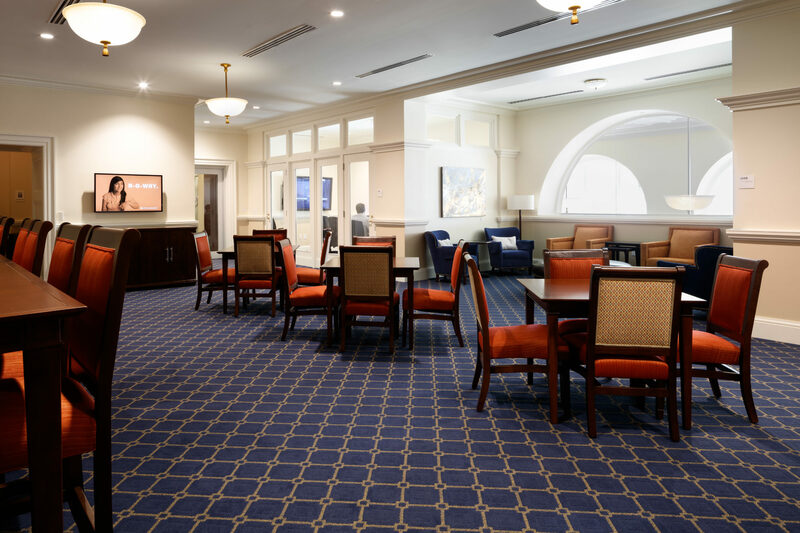 GLAVÉ & HOLMES ARCHITECTURE worked with the Darden School of Business at the University of Virginia on upgrades to the Camp Library. 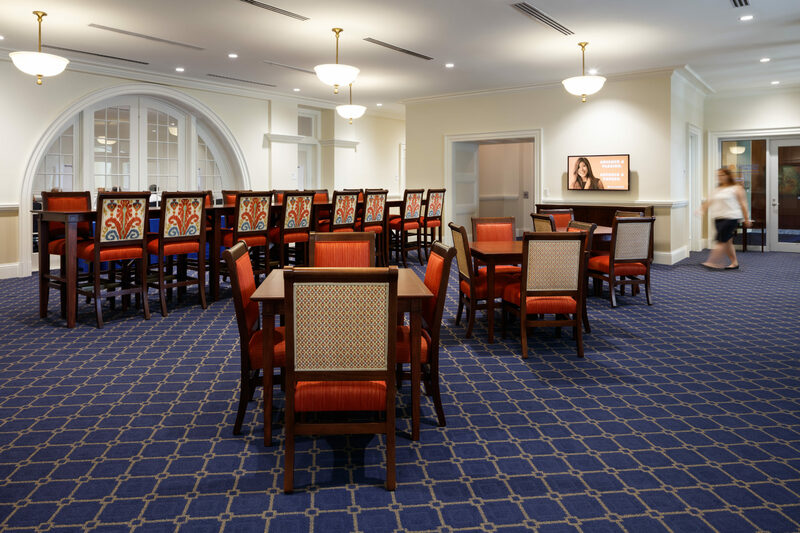 The interior renovations to the Library’s second floor promote active learning and create more inviting spaces. An existing library space was removed and walls were rearranged to create space for several new departmental offices and conference rooms. The updated lobby space is designed to accommodate various uses and serves as an informal reading and study space. 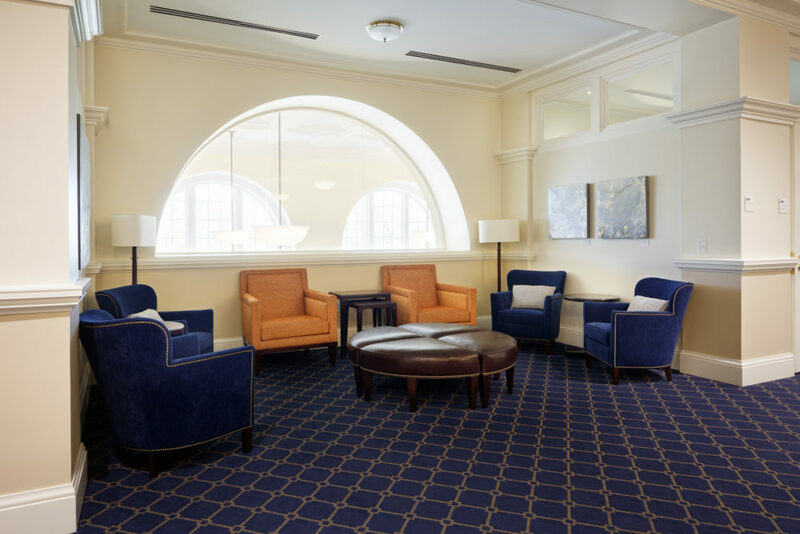 The new configuration allowed for a reading nook to be inserted between two small conference rooms, providing space for individual study or small impromptu meetings. 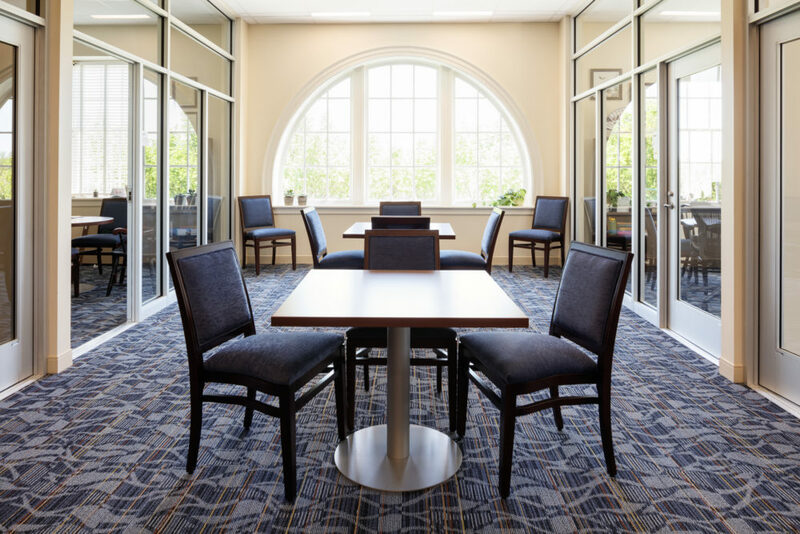 G&HA connected the refreshed lobby to a new large conference room through wood and glass doors in a central arched opening that echoes existing architectural details found in the library.